Today, brain-related illnesses are on the rise—in particular, Alzheimer’s disease. According to the U.S. Centers for Disease Control and Prevention (CDC), an estimated 5.4 million Americans are living with Alzheimer’s disease, the incidence of which increases as you age and doubles every five years beyond age 65. The National Institute on Ageing suggests Alzheimer’s is the third leading cause of death for older people, falling behind heart disease and even cancer! Dr. Dale Bredesen, director of neurodegenerative disease research at the University of California, Los Angeles (UCLA) School of Medicine, and author of The End of Alzheimer’s: The First Program to Prevent and Reverse Cognitive Decline, suggests Alzheimer’s is a trillion-dollar global health problem that strikes about 15 percent of the population, making it incredibly common. The scary thing about Alzheimer’s is that besides some symptom-improving medication, there is currently no cure for this progressive brain condition. Due to the severity of Alzheimer’s disease, we’d be wise to proactively address any factors that may be putting us at risk for developing the illness. 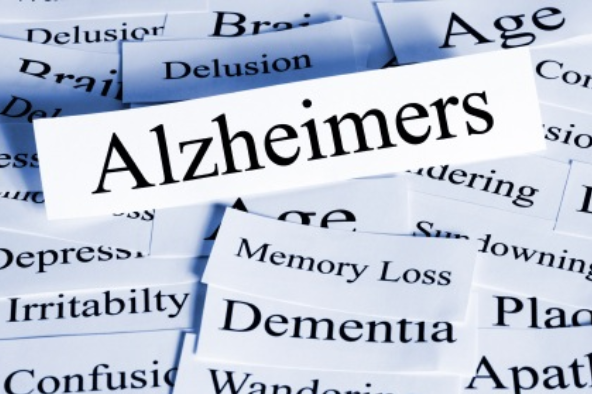 In this article, I’d like to discuss several lifestyle factors that have been linked to this condition, as well as share some healthy prevention tips, in hopes that you will take action now to ensure that you or someone you love will not become another Alzheimer’s statistic. But first, let’s explore what the illness actually is. Alzheimer’s has been said to be caused by the accumulation and build-up of amyloid plaque and neurofibrillary tangles in the brain. As Bredesen describes it, just as cells need to be constantly destroyed and recreated, so do our synapses to maintain homeostasis. However when they cannot, this creates an imbalance and thus illness. Given this, it is not a single disease. In his book, Dr. Bredesen gives the analogy of a roof with 36 holes: “there are at least 36 different mechanisms contributing to Alzheimer’s disease pathophysiology, so fixing just one has little change for success”. The APOE gene has been deemed in great part as a risk factor for the development of the disease. Everyone inherits a form of APOE from their parents — either type E2, E3 or E4. In his book, Bredesen talks about the common belief that genetic predisposition plays a role, noting an estimated 75 million Americans have a single allele for the problematic ApoE4 (E4) gene, which gives them a 30 percent lifetime risk of developing the disease and for the people who carry 2 copies of ApoE4 (7 million people), risks are said to up well above 50%. Toxic: which relates to toxicity levels and tends to occur in people who carry the common ApoE3 allele rather then ApoE4. A growing body of research suggests there’s a powerful connection between your diet and your risk of both Alzheimer’s disease, to the extent that Alzheimer’s disease is now being called by some “type 3 diabetes”. It’s becoming increasingly clear that the same pathological process that leads to insulin resistance and type 2 diabetes may also hold true for your brain. As people over-indulge on sugar and grains, the brain becomes overwhelmed by the consistent high levels of glucose and insulin that blunts its insulin signaling, leading to impairments in thinking and memory abilities, eventually causing permanent brain damage. For years it was believed that the brain functioned primarily on glucose, but researchers have now discovered your brain does not actually require much glucose to function, and actually functions better burning alternative fuels, especially ketones, which are a by-product produced when the body burns fat. In fact, many health professionals believe that it is the constant burning by the brain of glucose that is primarily to blame for Alzheimer’s and other brain disorders. Additionally, when your liver is busy processing glucose—which your liver turns into fat—it severely hampers its ability to make cholesterol, an essential building block of your brain that is crucial for optimal function. Mounting evidence supports the notion that significantly reducing sugar and refined carb consumption is an important step you can take to prevent Alzheimer’s disease. Next, researchers have learned that the pancreas is not the only organ that produces insulin—the brain does as well. And this brain insulin is necessary for the survival of your brain cells. Insulin helps with neuronal glucose-uptake, and the regulation of neurotransmitters, like acetylcholine, which are crucial for memory and learning. This is why reducing the level of insulin in your brain impairs your cognition. Fluctuations in insulin production in your brain may contribute to the degeneration of your brain cells, and studies have found that people with lower levels of insulin and insulin receptors in their brain often develop Alzheimer’s disease. Other research shows that type 2 diabetics lose more brain volume with age than expected—particularly gray matter. This kind of brain atrophy is yet another contributing factor for dementia. “Brain diabetes” may also be responsible for glaucoma according to recent research. Many studies are linking poor sleep to beta-amyloid buildup in the brain. During deep sleep, your body’s glymphatic system flushes waste from your brain back into your circulatory system and to your liver for elimination. Unfortunately, if you do not get adequate sleep, the damaging plaques will build up over time, and attack and degrade certain regions of your brain. Furthermore, a brain affected by Alzheimer’s has lost most of its ability to remove the beta-amyloid waste products, mainly because it is caught in a vicious cycle: more amyloid, less deep sleep; less deep sleep, more amyloid. Persistent patterns of poor sleep may actually be an early indicator of amyloid buildup, which could be causing very subtle brain changes well before disease develops. Our lives have become increasingly sedentary, and we know its effect on weight and metabolism. But did you know this can also be a risk factor for cognitive decline? Brain thinning can be a sign of cognitive decline and dementia in adults of middle-age and older; something that is prominent in those who are sedentary. In one study, participants were assessed according to their physical activity level and average number of hours per day they spent sitting during the previous week. Most participants said they sat an average of three to seven hours a day! This data in addition to their MRI scans concluded that sitting for extended periods of time was closely associated with thinning in the brain, specifically the medial temporal lobe. No wonder why they say sitting is the new smoking. What Can You Do to Minimize Cognitive Decline? 1) Reduce refined sugar and refined carbohydrate intake – I bet you guessed this one was a given! Simple sugars and carbohydrates such as white flours, grains, and pastries, and artificial sweeteners such as the ones found in sodas, and candies cause a sudden spike of insulin and a surge in blood glucose levels, which we are trying our very best to avoid! To sweeten try using natural sugars such as raw honey or pure maple syrup. You can also use herbs and spices that help balance blood sugar, such as cinnamon, fenugreek, bitter melon or bilberry. 2) Eat healthy fats – Increase your consumption of healthy fats, such as omega 3, saturated, and monounsaturated fats. Your body needs health-promoting fats from animal and vegetable sources for optimal functioning. Some of the best sources include organic butter from raw milk, (unheated) virgin olive oil, coconut oil, raw nuts like walnuts and macadamia, free-range eggs, avocado, and wild sockeye salmon. 3) Sleep – Proper sleep is crucial to flushing cellular debris, reducing amyloid formation, increasing insulin sensitivity, promoting autophagy and boosting Growth Hormone production in the brain—all important factors to preventing Alzheimer’s. Ensure you are getting between 7-9 hours each night. 4) Exercise – Exercising is probably one of the simplest yet most effective ways to offset the development of Alzheimer’s. Exercise increases the production of brain-derived neurotrophic factor (BDNF) which causes new neurons to grow in the brain, resulting in increased neuroplasticity and the ability to learn faster, remember more, and optimize brain function. Studies have shown that just six weeks of regular physical activity enhances dopamine production and receptivity in the brain, which in turn elevates mood and mental energy. Endorphins released during exercise work wonders in warding off depression and bolstering the immune system. Physical fitness has also been shown to increase mental sharpness as people age. Especially past the age of 40, daily exercise helps maintain acuity in the prefrontal cortex of the brain. 5) Get Tested & Supplement – There is a slew of tests available to measure where you stand, but just to mention a few: homocysteine levels, B6-B12 and folate levels, glucose level at fasting, hemoglobin A1c, omega 3-6 ratio, C-reactive protein, vitamin D levels, copper-zinc ratio, heavy metal tests, leaky gut panel and genetic tests to look for APOE4 are highly recommended. These tests are all covered in Dr. Bredesen’s book. Consumption of rosemary, spearmint, mineral supplements, and vitamin D have also shown to decrease the development of Alzheimer’s disease. Interested in learning more? I strongly suggest that anyone who is concerned about Alzheimer’s Disease, read Dr. Bradesen’s book to get a more in-depth look at the complexity of the disease.